Weekly webinars and annual conference in January. The University of Illinois Extension and Iowa State University Extension and Outreach are partnering to present the first tri-state local producer conference. Topics for this year's event will include generational buying trends and local foods, how to select food crops for your soil type, as well as social media and digital marketing. A networking dinner will follow for those interested. Cost is $25. Registration deadline is March 12 at 4pm. Iowa State University Extension and Outreach will host three MarketReady workshops in January and February. The training is designed to provide producers with the skills and knowledge needed to make sound decisions about diversifying operations into wholesale, retail, and institutional market outlets. ·January 29 – Wapello County Extension Office, 13011 120th Avenue, Ottumwa. To register, call Jessica at Wapello County Extension and Outreach at 641-682-5491 by 4 p.m. Friday, Feb. 25. ·February 19 – Citizens State Bank Youth Development Center, 800 N. Maple St., Monticello. To register, call Nanci at Jones County Extension and Outreach at 319-465-3224 by 4 p.m. Friday, Feb. 15. ·February 26 – Cass County Community Center, 805 West 10th Street, Atlantic. To register, call Kate at Cass County Extension and Outreach at 712-243-1132 by 4 p.m. Friday, Feb. 22. I will be leading two hands-on workshops in eastern Iowa where farms will create a customized food safety plan for their farm. Templates and sample logs (complete with FSMA language) will be provided. If you are interested in being a mentor, please fill out the application at the link below. More program details can be found on the application landing page. Due to funding restrictions, all mentors will need to farm in Iowa. The deadline is February 5th, 2019. Early registration is $85 until midnight, Jan. 11. Late or on-site registration is $115. Online registration as well as additional details on topics, speakers and lodging is available at www.aep.iastate.edu/beef. Workshop will start at 8:30 a.m. and conclude at 4:15 p.m.
Workshop is FREE and includes lunch, refreshments, and materials. Register by emailing your name, farm name and telephone number to visitiowafarms@iastate.edu or by phone at 515-294-9483. Cost $20. To register and pay with a credit card, go to the Safe Produce website, https://www.safeproduce.cals.iastate.edu/events and click on the preferred training. To register and pay by check, email Iowafsma@iastate.edu or call 515-294-6773, and a paper registration form will be sent to you. Midwest Organic and Sustainable Education Service (MOSES) partnered with the farm business management staff of Western Technical College to create a series of free online webinars designed to help farmers develop the systems and knowledge they need to understand and manage their farms' finances. The Fearless Farm Finances webinars cover subjects ranging from goal-setting and recordkeeping systems to developing statements of income and cash flow for bankers and tax purposes. Watch the videos and complete the companion worksheets at your own pace. Tools to help you start a local business! Attention Iowa direct market farmers! You are invited to participate in a study to help us understand biodiversity in local food production in Iowa. This study will develop a current crop inventory of fruits and vegetables being sold by direct market farmers in Iowa and identify the factors that farmers consider when making decisions about what to plant on their farms. We often say that local food production improves biodiversity on farms, but no one has formally measured it. This research will help us understand the real impact that local food has on Iowa’s farm diversity. 1. A short demographic survey and submission of your last three years of crop records to the research team. Crop records should include the name of the plant and variety (e.g. Dragon Tongue Beans), the source (e.g. Johnny’s Seeds), and the quantity purchased and planted. You will receive $25 for taking this survey and submitting crop records. If you have questions about this project, please contact Brandi Janssen at brandi-janssen@uiowa.edu or (319)335-4190. Here is the tentative county schedule for trainings for 2018-2019. Workshops coming to Cedar Falls in 2019. Check out our Agritourism Workshop flyer. Waterloo, Iowa – The Iowa Department of Agriculture and Land Stewardship offers training and support to vendors who participate in Farmers Market locations throughout the State of Iowa. Vendors need to become certified under the WIC Farmers Market Nutrition Program and participate in training. Iowa State University Extension and Outreach Black Hawk County will be showing the WIC Farmers Market Nutrition Program Vendor Training for free at 3420 University Avenue in Waterloo, Iowa. To register use the URL listed for the training session chosen. Wednesday, April 25 10:00 a.m. – 11:00 a.m. Registration URL: https://attendee.gotowebinar.com/rt/8947869995481495553For more information please contact Shelly Smith, Executive Director, at ISU Extension & Outreach Black Hawk County, 319-234-6811 or shellys@iastate.edu. 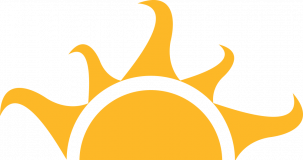 Northern Iowa Food & Farm Partnership wants your input! Increase the impact and reach of the Northern Iowa Food and Farm Partnership by helping us set new goals to address critical food systems needs of our region. This strategic planning session will be facilitated by Lynn Heuss, Program Coordinator with the ISU Extension and Outreach Local Foods Team, and Courtney Long who assists in the development of sustainable community design with communities around Iowa. 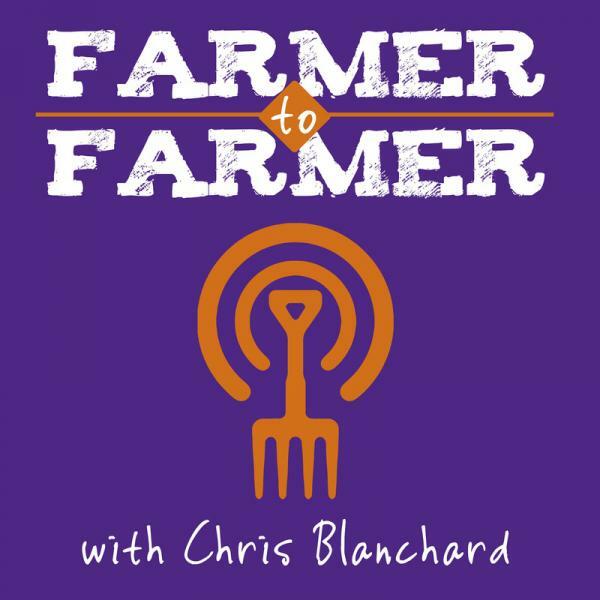 Wednesday, Dec. 13 | 2:30-4:30 p.m.
Chris Blanchard provides consulting and education for farming, food, and business through Purple Pitchfork, and hosts the Farmer to Farmer Podcast. As the owner and operator of Rock Spring Farm for fifteen years, Chris raised twenty acres of organic fresh produce in Northeast Iowa after spending ten years working in other farming and research operations. Tune in to learn more!